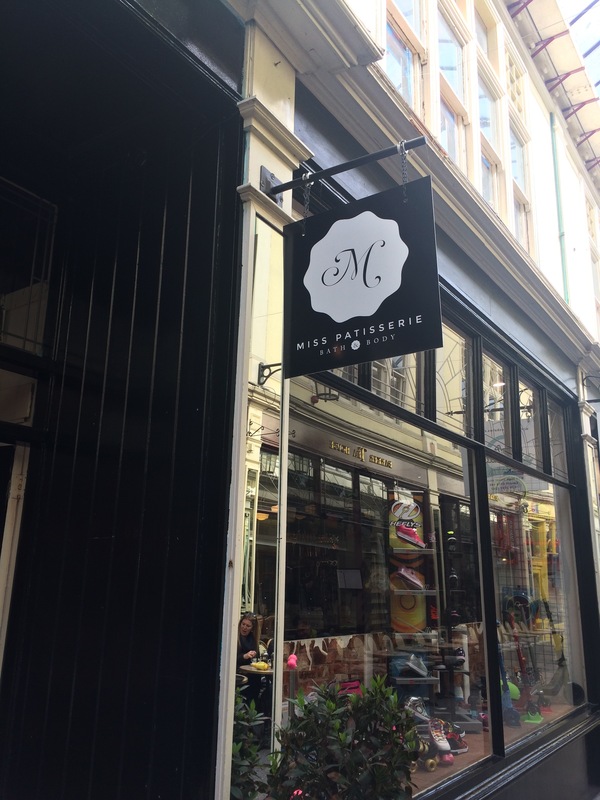 Miss Patisserie is a bath and body shop at High St Arcade in Cardiff. The company was started in 2009 by an aromatherapist called Charlotte Ridgewell. Today I went to check it out. The main focus of the brand is producing natural, locally made, vegan, cruelty free products (they do do a few non vegan products but it mainly is vegan, if that’s something that’s important to you). The shop is pretty and stylish, all exposed wood and monochrome. 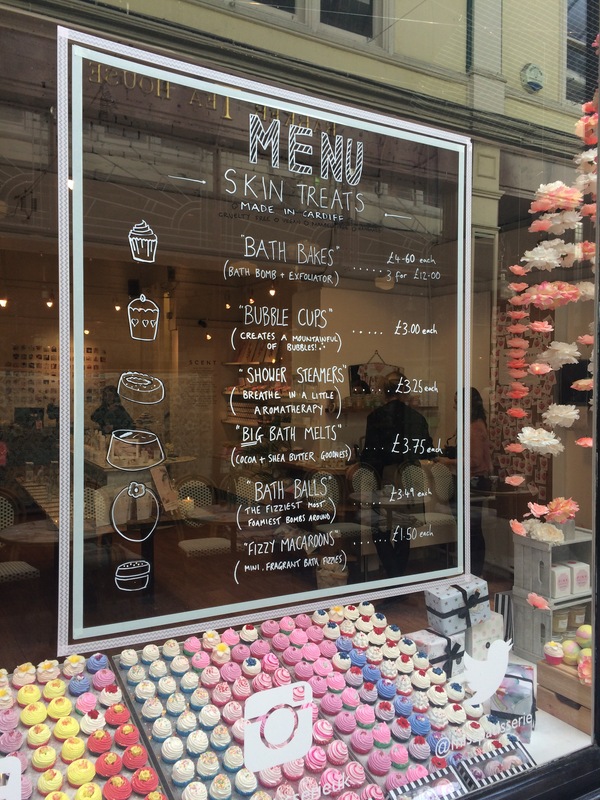 Front of shop is dominated by Miss Patisserie’s signature Bath Bakes and Bath Bombs. Very colourful and fragrant they are too. As a new mum, I ain’t got much use for a bath bomb at the moment. My 4 year old daughter on the other hand was all over them. 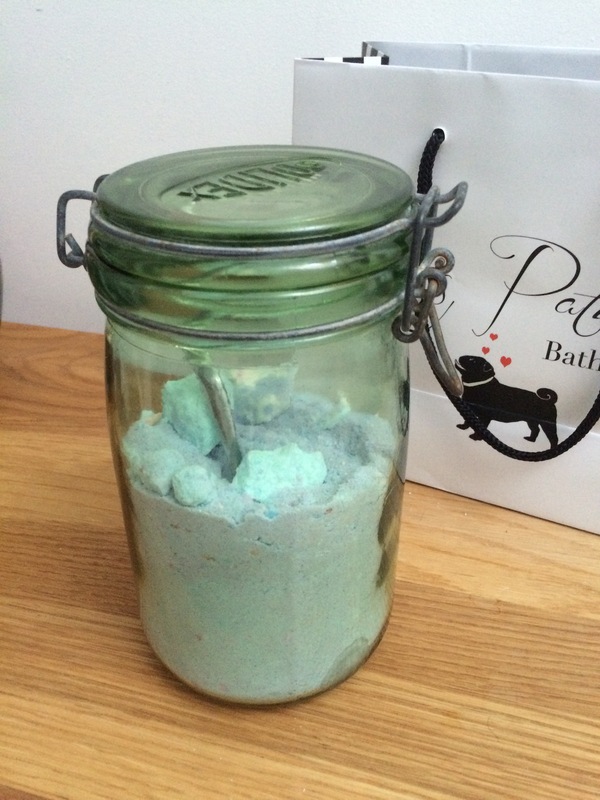 I ended up buying her a bag of bath crumble- this is basically crushed bath bombs of various colours, when you sprinkle it into the bath it looks like a rainbow and smells amazing. My girly girl was chuffed to bits. I decanted the crumble into a Kilner jar and it looks rather marvellous. 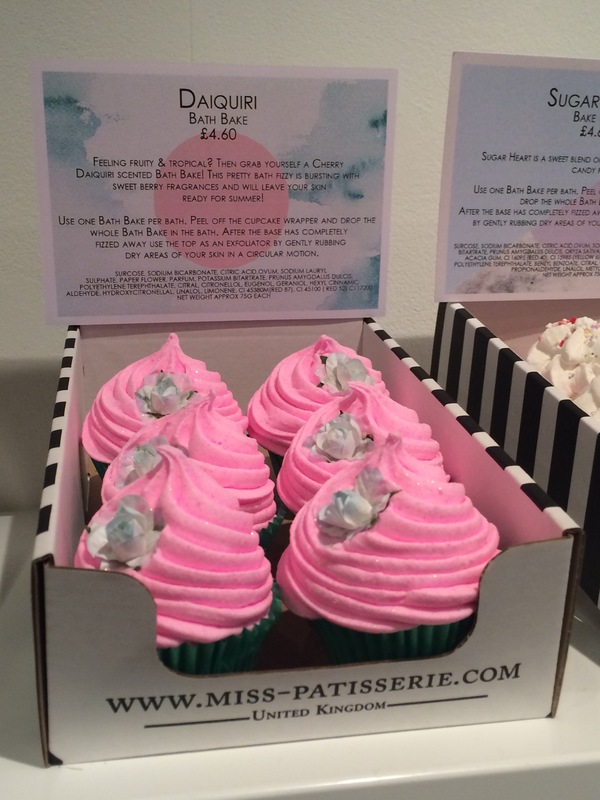 Miss Patisserie also do a range of fragrance, scented candles, soaps, sugar scrubs and tucked away at the back is a range of skincare. Now we’re talking my language! The skincare line consists of skin oils, powder based face masks body and skin cream. The ingredient lists are lovely and short, no crazy chemicals. I think it’s always a good sign if you can understand what all the ingredients are without referring to a chemistry textbook. 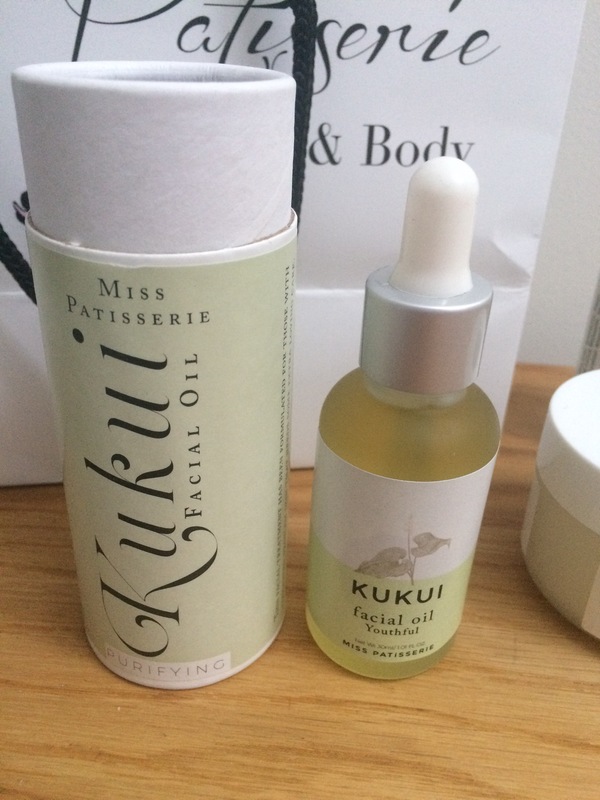 I went for the Brightening Walnut Stone Face Mask and Kakui Facial Oil for congested, problem skin. 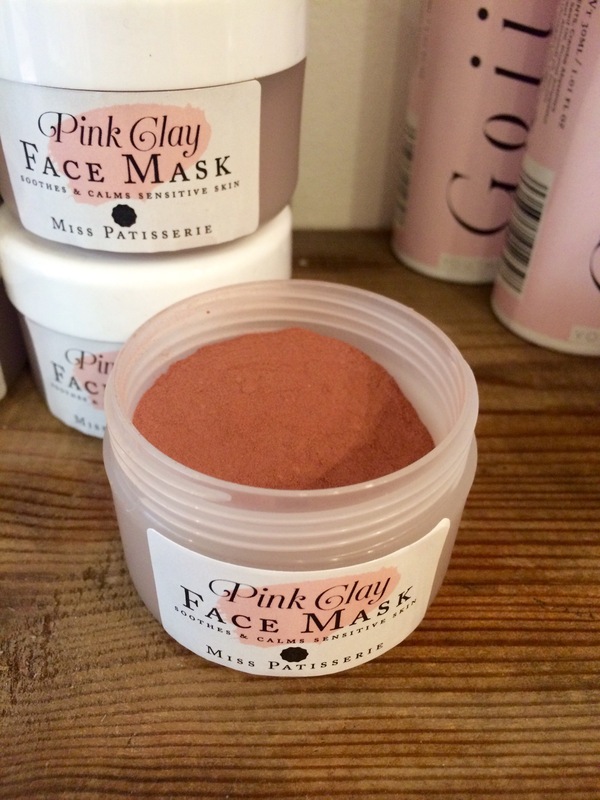 I also liked the look of the Pink Clay face mask for sensitive skin. Maybe I’ll grab that next time? 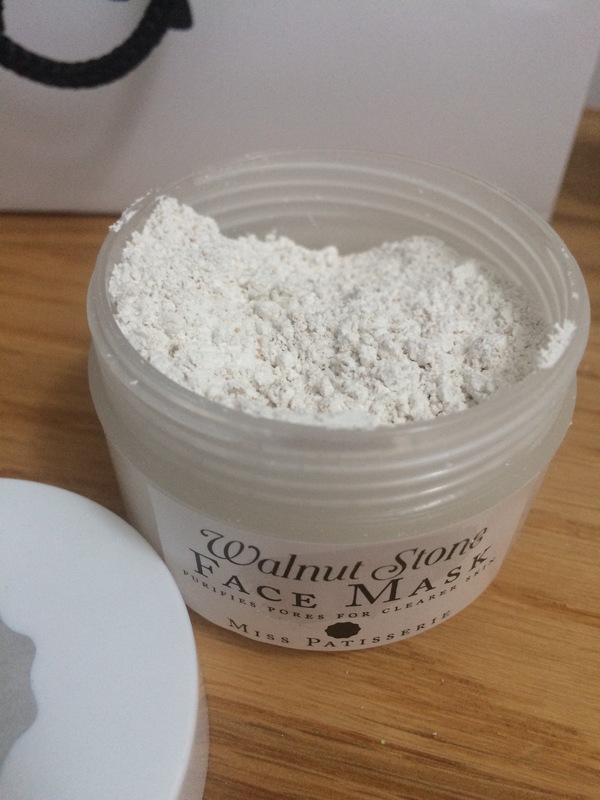 The Walnut Stone face mask comes in an intriguing powder formulation. You take a spoonful into the palm of your hand and mix with your chosen liquid (apparently you can use milk, oil or lemon juice as well as water) then apply to a clean face. My skin felt lovely and soft after using. I like that it comes as a powder, you can adapt it to your skin needs. The Kakui Oil has a light texture and a fresh lemon scent. I’m pleased to find a facial oil specially made for acneic skin, I haven’t managed to find that elsewhere. Miss Patisserie Cardiff- Who is it for? Anyone searching for a gift for a lady friend! 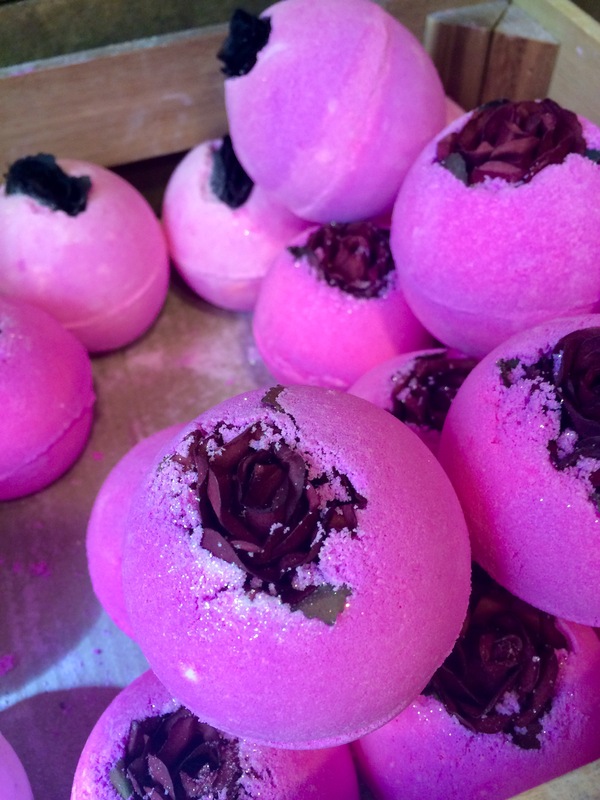 Miss Patisserie’s range of bath products is varied, pretty and fragrant. You’ll find a present for ladies of all ages in minutes. Also this shop is suitable for those seeking natural skincare. There are no nasty chemicals. And the I was assured the only animals tested on were the people who work there. My face mask was £7.70. The bath products range from £1.50 to £4.60. My facial oil was a bit more pricey at £16. All in all I think you’ll find yourself or someone else something nice, whatever your budget. Miss Patisserie do a small range in the larger supermarkets, I’ve seen it for sale in Big Tesco. They have one shop in Cardiff but they’re looking to expand to Bristol, Bath and Cheltenham. They sell online but unfortunately are only shipping to mainland UK at present. Check out MissPatisserie.com for more info. I wish i could get this. Lovely review. check out my blog and let’s support eachother. These look amazing!! I love lush. So I cant wait to try these out! !